Get to the end of this article, and you’ll get a free car! If only it were that easy (and true). Still, a lure like that is enough to catch readers’ attention. And if it’s done right, it’s enough to get them to take the action you want them to take. A call to action is a strategy that marketers use to make their advertisements more successful. If you master the method, you can make it work for you in a variety of genres. A call to action is the part of your message that tells your audience what to do. If written right, it also makes them feel inspired to do it. A call to action tells someone to do something. Designed well, it makes them want to do that something, too. Telling someone what action to take after viewing your advertisement or seeing your content is easy. Making them feel motivated to follow through is the real challenge. “Buy now” or “Sign up here” covers the action, but it doesn’t provide a call that makes them feel invested in buying or signing up. 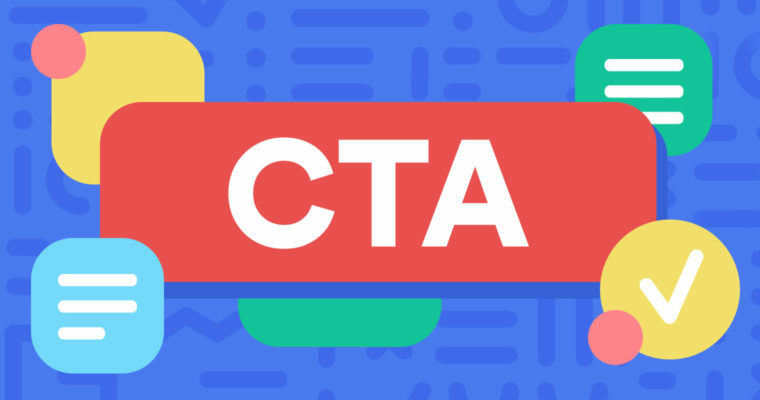 A good CTA is important because it doesn’t just help you gain customers—it can help create loyal customers, too. So how do you gain an audience’s attention, pique their interest, and get them buying what you’re selling? Here are some tips that will help you think from the target audience’s perspective and write in a way that will speak to them. Identify the audience’s desires. What would motivate them to follow through on your ad or look at your content in the first place? Connect your CTA to fulfilling those desires. Craft your message in a way that speaks to them. Make the next step easy. Clicking a button. Sharing a link. Typing an email address (but not necessarily full account information—even that amount of effort can scare people away). The easier the action, the more likely your audience will feel motivated enough to take it. Here are spiced-up versions of the CTAs you saw earlier in the article. Each example could be accompanied by text saying “Buy now,” “Sign up,” or “Get a free trial.” The trick is in the section leading up to that action and making sure it provides the motivation and the rationale for the audience to take the next step. New and improved: See why thousands of readers are talking about the latest page-turner from this bestselling author. Why it works: By mentioning “thousands of readers,” this copy makes the audience want to be part of the crowd. The words “page-turner” and “bestselling author” lend credibility to the claim that the book is worth reading. Original: Stop using plastic water bottles. New and improved: When you drink from plastic water bottles, you risk consuming microplastics and contributing to plastic pollution of the ocean. Get a glass or metal water bottle instead of a plastic one. Why it works: The good ol’ “scare ‘em” trick. There’s nothing wrong with a little fear-mongering in advertising. By stating that plastic water bottles are bad for individual health and the environment, this sentence plays on the audience’s fears and suggests an easy solution: stop using plastic water bottles. New and improved: Speaking and writing grammatically helps you become a better communicator and makes people more likely to listen to you, agree with you, and respect your opinions. Make sure you use correct grammar. Why it works: This copy gives a straightforward reason for responding to the call to action, and one that is likely to resonate with many professionals. An example CTA to follow the sentence: Get the free Bloggr browser extension today. The tactics used in these examples can be modified for a call to action in any genre. No matter what your mission is, you’ll benefit from the ability to capture your audience’s attention and persuade them to follow up. You made it to the end! You may not have a free car, but you now have the tools to write a successful, effective CTA. Узнайте про полезный блог , он описывает в статьях про детское кресло напрокат.